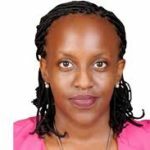 Gentlemen Tumwebaze and Otunnu, I have read your most arrogant and infantile responses to the well-thought, measured and clear statement that was issued by Uganda Law Society regarding the SIM Card Re-registration stampede you have caused countrywide. 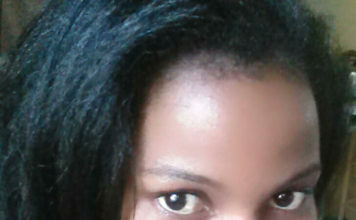 From the outset, I must note that for a very long time now, it feels burdensome being a Ugandan. Many times I wonder whether you people in those positions of power are Ugandans or are sober when you take most decisions—right from the appointing authority down to the regime’s sycophants and stooges who have distinguished themselves in pulling off scandals, one after another, while the sails of impunity move faster than the wheels of justice. “The Commission is unbothered by ULS’s views. That is their opinion and we have our own. Our directives and deadline stand.” Fred Otunnu, Corporate Affairs Director at Uganda Communications Commission (UCC). 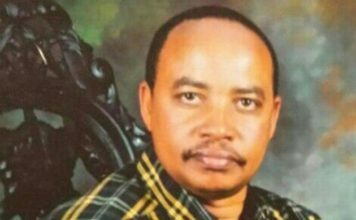 “The overriding principle is to deny criminals an opportunity to use SIM Cards for their criminal work. 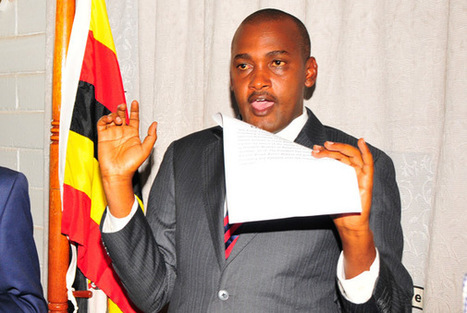 If ULS has some advice to give to UCC that will improve the outcome, they are welcome but they should not stand in the way of this noble exercise.” Frank Tumwebaze, Minister, Information and Communication Technology. Here are five reasons why I think you both must be joking! It is apparent to me that many of you people who purport to be in charge of the public affairs of this country are actually clueless about the very policies, the resultant laws and regulations that govern your institutions and jobs. 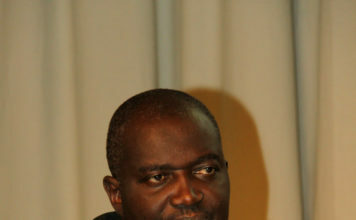 If only you had taken time to address your minds to the 1995 Constitution of the Republic, the Registration of Persons Act, 2015; the Interception of Communications Instrument No., 42 of 2011, you would not have sounded as ignorant as you did when you dismissed the Law Society’s instructive position on this matter. Section 55 of the Registration of Persons Act, 2015, stipulates that to be registered, one is required to furnish any of the following: a birth certificate, where applicable, a voter’s card, a driving permit, a passport or a baptismal certificate. In law, this means that a National ID is issued on the strength of the source documents listed under Section 55. The National ID is not a source document. To simplify the point by borrowing from biology, the National ID is a sterile male, has no womb and as such cannot give birth. Birth Certificates, Voter’s Cards, Driving Permits, Passports or Baptismal Certificates are fertile female documents upon whose presentation the National ID is given or issued. You cannot present a National ID and get a passport. But once you present any of the “female” documents I have listed, you will receive a National ID. The National ID is in that regard of less weight than the other documents which require a more elaborate process before being obtained. Anyone with a passport knows how elaborate the process of obtaining one is. In the same vein, Regulation 7(3) of the Interception of Communications Instrument No. 42 of 2011 enacts to the effect that identity documents such as passports, work permits, student IDs and voter’s cards suffice to prove an individual’s identity and cannot be trumped by the national ID, a document of less weight. Your directive is therefore manifestly unlawful and does not make sense. This begs the question: Tumwebaze and Otunnu, why are you disturbing Ugandans and other phone users? If someone already registered their SIM Card(s) under the initial registration process, moreover using valid and legally protected forms of identification, why are you hinging the validity of their registration on an inferior document, to the extent of not only insulting those who are offering differing opinions to your own but also threatening to take them off-air? Are you alive to the fact that your directive amounts to re-registration and is not registration? Which law allows you to conduct re-registration? ii) Can we entrust our (bio-, meta- and other) private data to foreign, private and poorly regulated telecom companies? 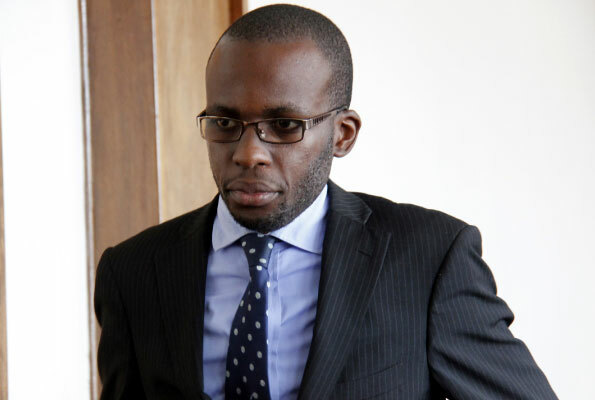 The impugned directive that you have issued exhibits a total disregard of the potential intrusions into the privacy of the very personal information of Ugandans. By requiring we citizens to hand over vital information to private players, we are in many ways handing over significant chunks of our citizenship to them. It is a known fact that the vast majority of the telecommunications companies operating in Uganda are subsidiaries of foreign (and multinational) conglomerates. These stateless, faceless and in many ways untouchable corporations have distinguished themselves in misusing private information in various countries ranging from unsolicited adverts and ‘information’ through to outright criminal activity—often with impunity. Their biggest priority is the profit margin, not privacy or other rights. Who knows that they wouldn’t engage in any dubious deal-making with customer information? 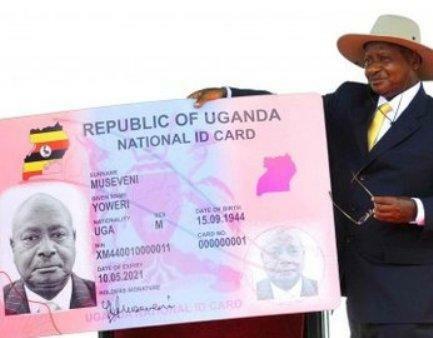 Have you Tumwebaze or Otunnu heard about something called identity theft? This is worse in a country like Uganda where the telecom companies are stronger than the regulator, Uganda Communications Commission, which can only bark and issue a press statement whenever Ugandans complain about the indiscretions of these companies. 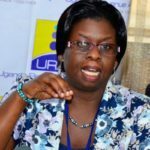 For a long time while Ugandans complained about unsolicited messages, political campaign jingles and commercial adverts of all sorts, the Commission was impotent and all its warnings were shrugged off and laughed at by the powerful telecoms which knew that no punitive action could be done to them. It took a near riot at one of the meetings between subscribers and telecoms for the point to be driven home. Matters are not helped by the fact that Uganda suffers nearly irreparable institutional breakdown. Who knows how Corporation X will use my information for nefarious purposes? With Ugandans’ personal information in the hands of private companies, how can we guarantee the digital and other security of people in sensitive positions like Judges, Intelligence Officers, Commanders of the Armed Forces, Heads of Public Offices and Departments, Business Executives, Political Party Leaders or those who simply want to live a quiet and undisturbed life? What happens if some brilliant kid at Makerere or any other University hacks the database of one of these companies? Or worse, Al Shabaab? Or what happens if an errant employee sells this information to unscrupulous persons or entities? Do you know what the spirit of our Data Protection Bill, 2015, is? It seeks, when enacted, to protect subscriber ins from unsolicited content or the harvesting and distribution of their user preferences, locations, habits and related information from various online entities. Are you aware that several of fellow members of the Commonwealth, for instance the United Kingdom, have made the effort to enact data protection laws which emphasise the centrality of the subscriber’s consent in all aspects of communication? Why must Uganda be the odd-man-out when other societies are progressing towards a more enlightened fashion of regulating telecommunications, thanks to your obsession with arbitrariness? Are you alive to the possibility that the disconnection of phone lines can amount to a deprivation of the constitutional rights to expression, association, economic rights and academic freedom? Please save me that empty talk about how you are going to pass a law which will govern the telecom companies on how to use this information. If Uganda implemented half of the policies and laws that have been passed over the past decade alone, we would be a glistening first world economy! Last I checked, corruption is not legal, but going by daily news headlines whether on electronic or print media, one would be forgiven for thinking that corruption is legal in Uganda. So much for impotent laws like the Anti-Corruption Act, Anti-Money Laundering Act, Leadership Code Act and paper tigers like the Inspectorate of Government, the Anti-Corruption Division of the High Court, Economic Monitoring Unit at State House and all the other statutory and institutional frameworks that have been established only to cause an exponential increase in the theft of public funds. The loss of privacy is immeasurable and cannot be undone. Going by your history, your knee-jerk reaction in the event of a privacy violation would be to institute yet another useless Commission of Inquiry! This directive runs afoul of the Constitution which expressly and unequivocally protects the right to privacy for all Ugandan citizens. Your directive is, to this extent, a brazen affront to the 1995 Constitution. Ugandans should not hand over their private information to Airtel, MTN or any other telecom! iii) How practical is your illegal directive? Let us assume for a moment that the re-registration stampede you’ve ordered is founded in law. For a population of over thirty five million, with only four million two hundred thousand National IDs collected—notwithstanding printing errors and double issuances, how are you going to re-register twenty two million phone users in the period you have provided? Are you sober? I needed some money over the long weekend but the neighbourhood ATM wasn’t online and so I walked to a nearby Mobile Money outlet to draw some. While waiting to be served, I overheard the desperation with which an old lady narrated her fears of having her phone disconnected…she had walked for up to an hour but could not find help to have her SIM Card re-registered as ordered by you the high and mighty of Uganda; her dusty feet were proof of the walking she had endured in vain. This mother and senior citizen of the nation I am sure is not alone in her predicament. I wonder what is happening in the far-flung parts of the country if people in the capital Kampala are struggling this hard. Secondly on this point of practicality, and given the fact that 78 per cent of Ugandans are below thirty years of age, half of whom are below the age of fifteen, what remedy do you have for the millions of Ugandans who are between the ages of 13 and 17, own SIM Cards registered in their names and were not able to be registered for National IDs but possess valid Identity Documents such as birth certificates, passports or student IDs—all of which are protected by Registration of Persons Act, 2015 as competent identification documents? How about Ugandans who study, work or live outside the country but registered their SIM Cards already? Are you going to buy them air tickets before 20th April ( now May 19 – Editor) so that they come home and re-register? Are prisoners going to be disconnected by reason of their incarceration? Your manifestly illegal directive is potentially the subject of protracted, multiple and costly litigation which will only exacerbate the backlog that our Judiciary is laboring under and further mete out collective punishment on we taxpayers when litigants are awarded—as they surely will be—damages for the inconvenience your arbitrary directive is going to cause if implemented. From subscribers’ Mobile Money balances, to loss of business by individuals and companies and the attendant inconveniences, many aggrieved persons will seek recourse to civil litigation which can be avoided if you swallow your pride and heed to the law. Our judicial officials need to be allowed space and time to handle more important issues and not these potential outcomes of your disregard for settled law. v) What was the purpose of the initial registration process? My fifth and final reservation regarding SIM Card re-registration revolves around the fact that most phone users, as an advent of Mobile Money services, are registered and their identity information is readily available. Statistics indicate that there are way more Mobile Money transactions than bank transactions on a daily basis. In fact, banks have been wary of the in-roads that telecoms have made into the financial services sector and have been playing catch-up but with little success. This volume of transactions via the phone cannot be done without clear identification—it means that the majority of phones in Uganda are registered. This leaves me wondering why the Communications Commission doesn’t use that already existing information to streamline the identity information and then pursue those particular phone lines which are completely unregistered. It brings me to Gen Kale Kayihura who jointly addressed a press conference on this matter and hinted on the recent murder of AIGP Andrew Felix Kaweesi as one of the major reasons for this re-registration. If the allegations that the assassins used unregistered phone lines to coordinate the murder are true, the correct person to punish for this is not all Ugandans—it is the phone company to whom the SIM Cards in question belong. UCC should not blame or punish Ugandans for its failure to do its job. If UCC takes punitive action against the telecoms which allowed unregistered phone lines to be in use, long after the initial registration deadline lapsed, that would be a clear statement of intent to crackdown on sophisticated and violent crime. Telecoms must stop allowing their retail agents on the streets who sell SIM Cards without proper registration of subscribers. To stampede Ugandans into re-registration when there are SIM Cards being sold on the open market without following the due registration processes is an exercise in futility only comparable to a fool’s errand. I will end on a note of suspicion: Issue No. 456 (February 10-16, 2017) of The Independent news magazine featured a lead story wherein it was reported that Members of Parliament on the Defence and Internal Affairs Committee stumbled upon five hundred billion shillings that had been dubiously allotted to the Defence Budget for purposes of procuring spying equipment and sophisticated eavesdropping software. It seems to me that this illegal operation has hit a technical snag that can only be resolved by forcing Ugandans to re-register using National IDs so as to enable the regime to spy without restrictions both on its own and those who hold alternative views. I am fortified in my suspicion by the fact that no other possible explanation for this re-registration exercise makes sense. The only other possibility is that this is yet another financial scam from which greedy public officials with the collusion of telecoms are somehow seeking to make a quick buck. In the absence of clear explanations, we citizens can only speculate. For the reasons I have given in the foregoing, come hell or high waters, I am not going to abide by your unlawful directive. Many public officials such as yourselves do not fear public interest litigation because government is sued and ordered to pay for the indiscretions of people like you, further burdening the innocent taxpayer. I am not going to target the Attorney General in pursuit of recourse—I am going to seek remedies through Court from you Tumwebaze and Otunnu, in your individual capacities should you go ahead with this illegal directive. Like millions of other Ugandans, I am sick, tired and fed-up of being misgoverned and under-served by a regime whose central obsession everyday is how to constrict the rights of citizens and extort the very last coin out of them in the form of prohibitive taxes, market dues, charges and pointless exercises such as this SIM Card re-registration. Think about the inevitable post-Museveni era and where you will live having committed all these injustices against us. You are neither the first and nor will you be the last to occupy those offices. Stand warned!